7814 NE Fourth Court, Suite #104. The French-American Chamber of Commerce hosts its European Business Networking event. A complimentary welcome drink and appetizers will be served. 6-8 p.m. Ironside Kitchen Pizza & Co., 7580 NE Fourth Ct., Miami. Details: https://bit.ly/2RGRr0E. The City of Doral presents “The Strategic Miami Area Rapid Transit Plan.” The Transportation Planning Organization’s Executive Director Aileen Bouclé explains the SMART Plan and answers questions and concerns about the future of the plan. 9 a.m.-11 a.m. Doral Government Center, 8401 NW 53rd Terr. Details: https://conta.cc/2qXNRzC. The Pérez Art Museum Miami presents “PAMM Free Community Night: Our Birthday, Your Party.” Celebrate the museum’s 35th birthday and culture with a special birthday bash featuring a live performance by Millionyoung, themed art-making and a DJ set by Ray Milian. 5-9 p.m. 1103 Biscayne Blvd., Miami. Details: https://bit.ly/2TaVn6w. 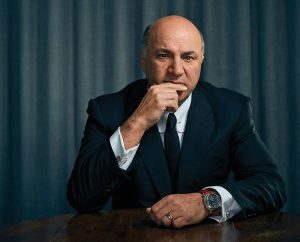 The Fillmore Miami Beach at the Jackie Gleason Theater presents “Shark Tank’s Kevin O’ Leary Live.” 5 p.m. 1700 Washington Ave. Details: https://bit.ly/2AZ4kbY. The Adrienne Arsht Center for the Performing Arts presents “Antonio Sanint: Sin Filtro.” 7:30 p.m. 1300 Biscayne Blvd., Miami. Details: https://bit.ly/2CB7pPN. 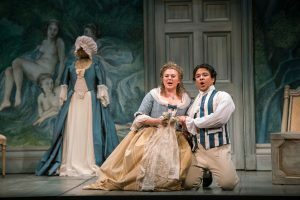 The Broward Center for the Performing Arts presents “Florida Grand Opera: The Marriage of Figaro.” The servants turn the tables on the masters in Mozart’s biting and sexually charged comedy about the established social order being tossed on its head. 7:30 p.m. 201 SW Fifth Ave., Fort Lauderdale. Details: https://bit.ly/2RJL2lp. Miami-Dade County Auditorium presents “Savannah Bay by Marguerite Duras.” 7:30 p.m. 2901 W Flagler St., Miami. Details: https://bit.ly/2UrM7LH. The Fillmore Miami Beach at the Jackie Gleason Theater presents ‘Cory Kahaney.” 8 p.m. 1700 Washington Ave. Details: https://bit.ly/2UoYgRB. MDC Live Arts presents “Dov & Blasting Pixels.” Dov is a collaborative, solo physical theater work directed by Pioneer Winter for Izzi LieberPerson. 8 p.m. 500 NE Second Ave., Miami. Details: https://bit.ly/2Cvp2QI.